The exodus from Ross County continues, with defender Rosario Latouchent leaving the club. The 18-year-old did not make an appearance for the Dingwall club after previous manager Derek Adams signed the Frenchman from Caen in the summer. 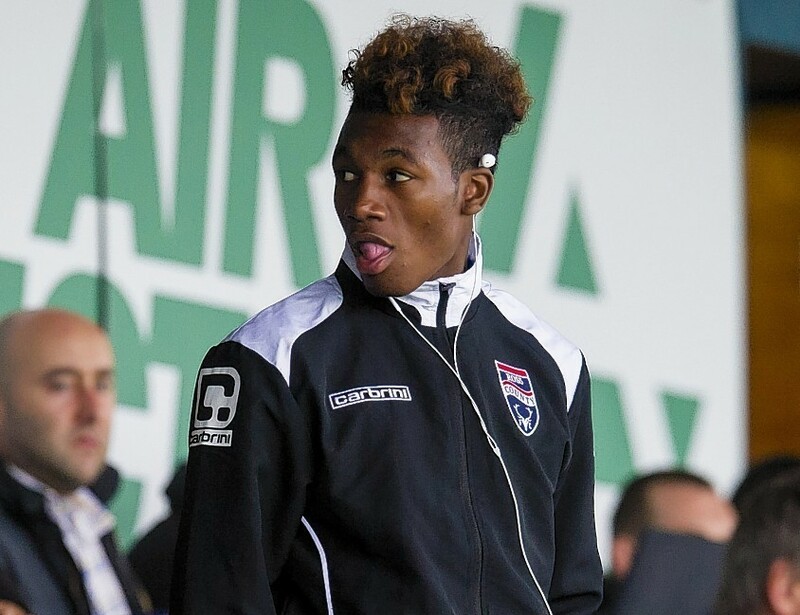 Latouchent, who represented his country at under-16 level, could not force his way into manager Jim McIntyre’s side and has been allowed to leave the Staggies. The teenager follows Dutchman Melvin de Leeuw, the club’s leading goalscorer last season, in departing the club. De Leeuw left the club last week. Meanwhile, McIntyre is hopeful a flu bug which has swept Victoria Park will subside before tomorrow’s Premiership game against Kilmarnock. County midfielder Martin Woods played 60 minutes of the 1-0 defeat by Aberdeen despite suffering from an illness that also ruled out captain Richard Brittain. However, McIntyre is confident the bug won’t still be lingering by the time his side faces Killie at Rugby Park tomorrow. McIntyre said: “There’s been a bit of a bug going about. Richard missed out due to that and Woodsy was feeling a bit ill because of it. “There have been one or two others that are not at their best. It’s unhelpful but unless anyone comes down with anything then, hopefully, it’s swept by us. “To be fair to Martin, the first we knew of it was at half-time because he was desperate to play. It affects players and I think he was in the early stages of it. McIntyre says County must rise to the challenges posed by the artificial Rugby Park pitch, insisting it will serve as an advantage to the hosts. McIntyre said: “They’ve got the artificial surface and the biggest thing with that is to make sure it’s soaked and wet. They really do suit a passing team. “We had one at Queen of the South. That’s why I know you need to keep it wet, because if you don’t it can stick in places and be slick in others. “It’s an advantage for home teams, especially when there’s only two in the league. It’s a bit different in the Championship where there’s four of them – all different.